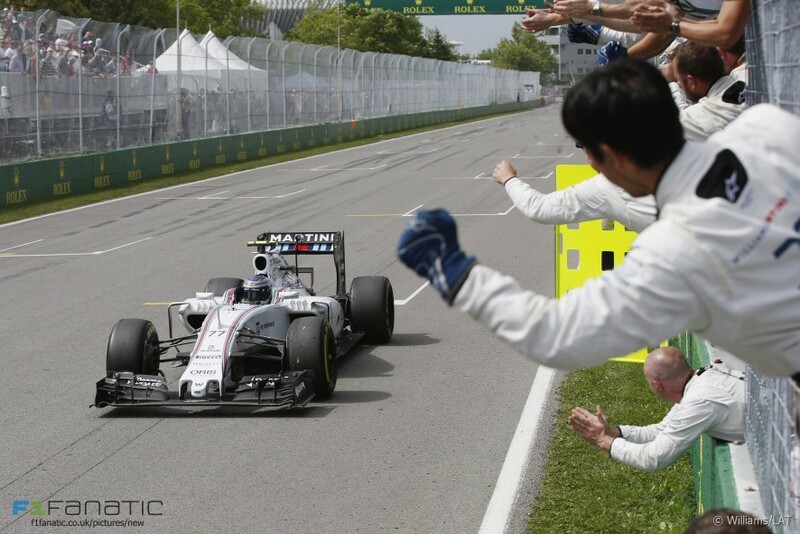 Ten of the best pictures which tell the story of the 2015 Canadian Grand Prix weekend. Rain fell heavily during the second practice session on Friday. 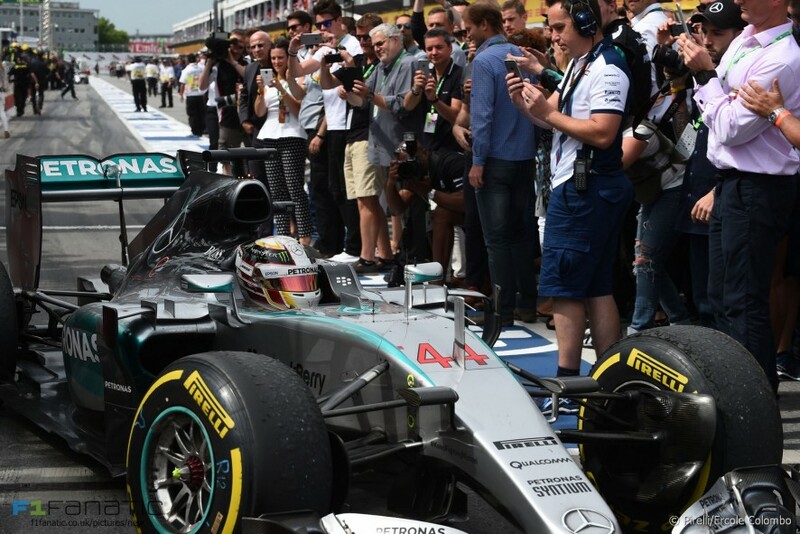 Mercedes, already under fire for the pit call which cost Lewis Hamilton victory in Monaco, made the surprising decision to send both their drivers out to do practice starts using intermediate tyres. 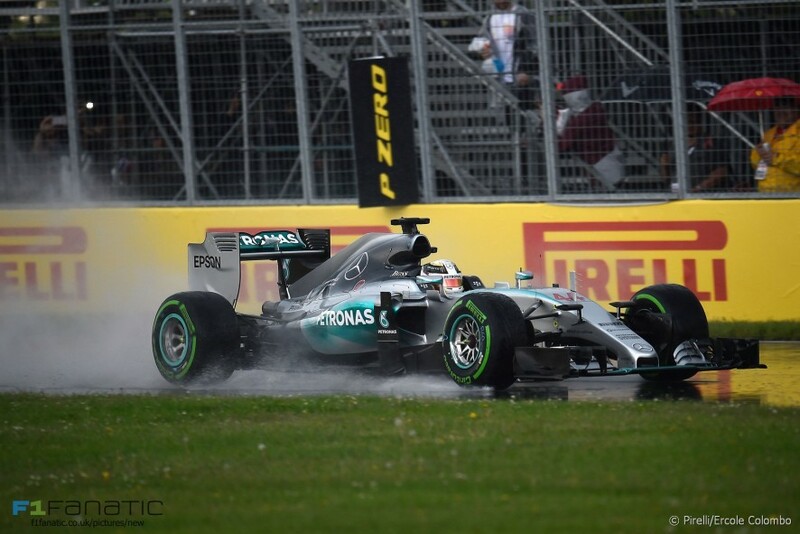 Hamilton had just been told to switch to full wets when he aquaplaned at the turn ten hairpin and hit the barrier. 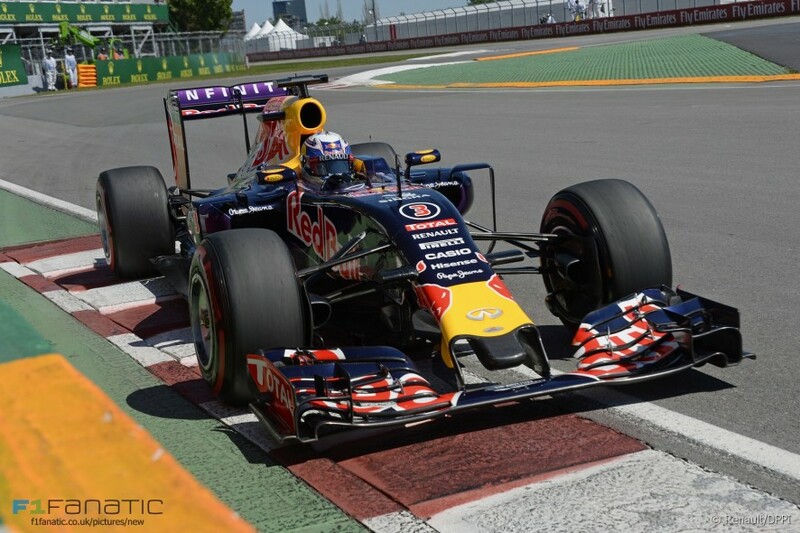 Daniel Ricciardo gets close to the Circuit Gilles Villeneuve?s infamous Wall of Champions. Things seem to be picking up at Manor ? they recently announced several new appointments to their technical staff and the cars featured two new sponsors in Montreal. 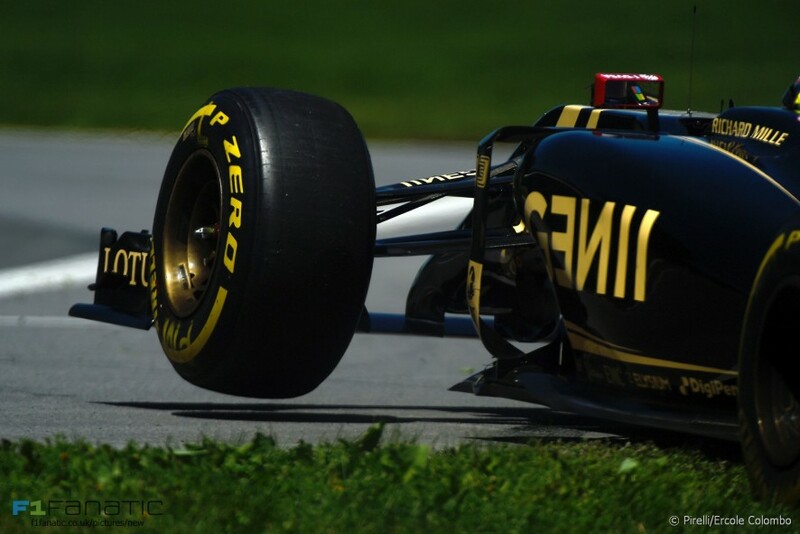 Pastor Maldonado?s stiffly-sprung Lotus raises its front-left wheel in the air. 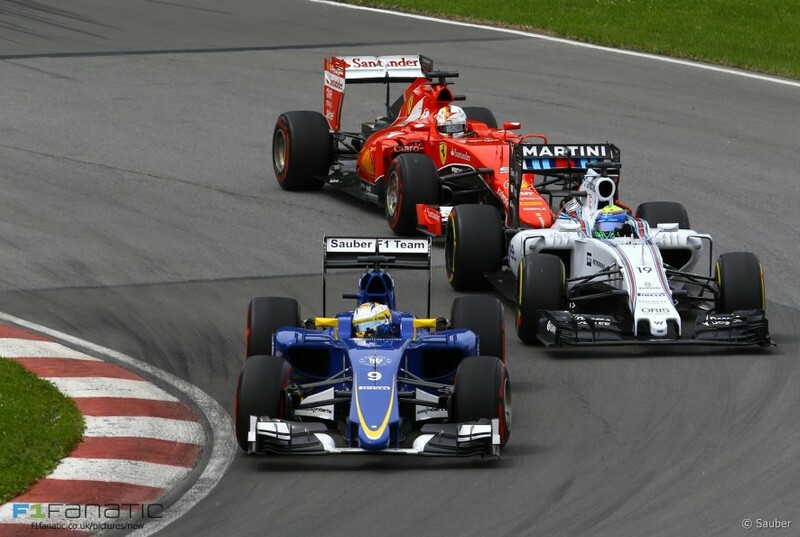 Maldonado?s luck finally changed in Canada and he scored his first points of 2015. 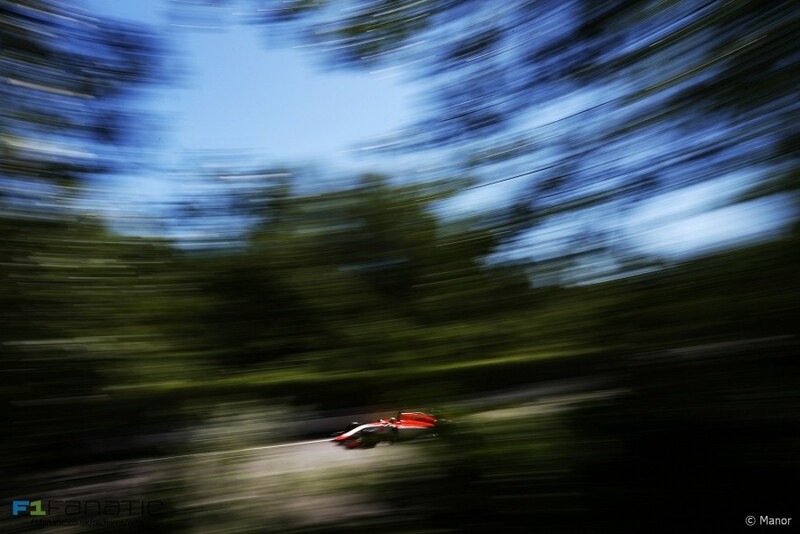 Foliage isn?t a big feature of many new F1 tracks, but there?s plenty of it on the Isle Notre Dame. 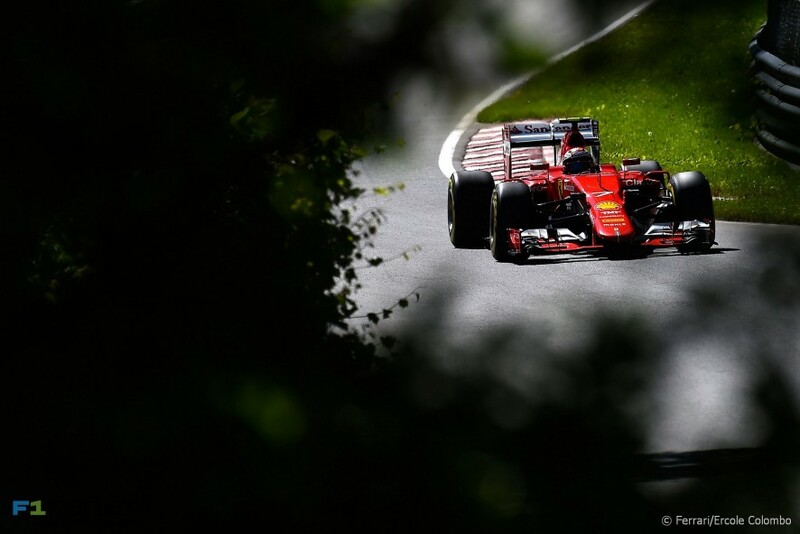 Kimi Raikkonen is spied between the leaves on Saturday. 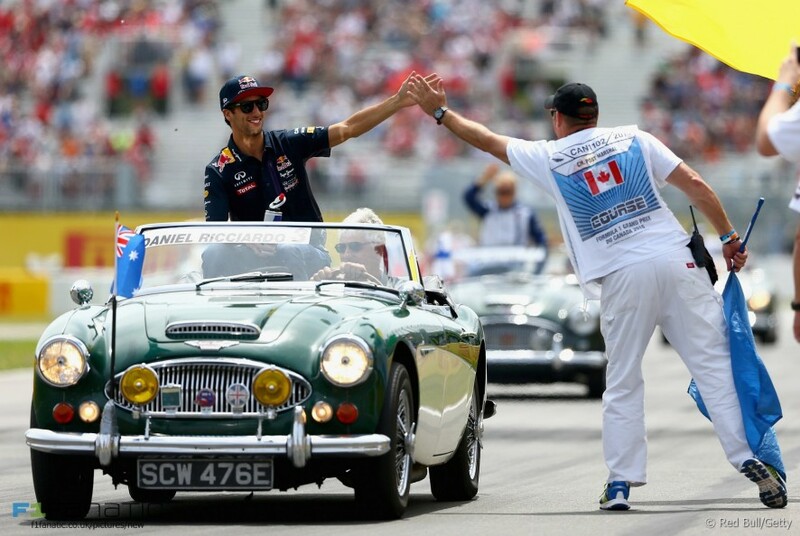 Last year?s winner got a warm reception from one of the Canadian marshals. 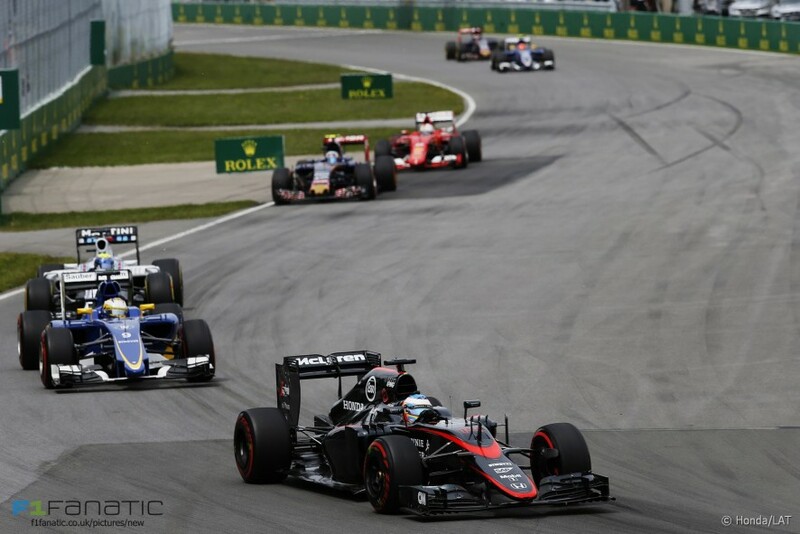 Fernando Alonso put his McLaren 13th on the grid and got up to 11th at the start ? but it was a painful race after that. Every one of the other cars in this picture overtook him at some stage as he backed off to save fuel in his McLaren. He made his frustration clear on the radio, and soon afterwards an exhaust failure put him out. Having started 18th due to a combination of technical problems in qualifying and a penalty for ignoring a red flag, Sebastian Vettel arrived on the tail of Felipe Massa and Marcus Ericsson early on. He headed for the pits to make an early tyre change on lap eight ? only to lose more time with a slow stop. After Raikkonen spun away third place, Valtteri Bottas capitalised to deliver the first podium of 2015 for Williams. Hamilton bounced back from his qualifying crash and Monaco disappointment to score his fourth win of the year and his fourth Canadian Grand Prix victory.